Only a few more days to the Easter weekend, so designers are sharing some of their favorite Spring and Easter decorating ideas and projects. We hope you enjoy them as much as we do! In 4 bright amazing colors, this craft material is perfect for use indoors and out. 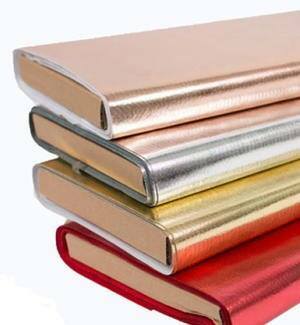 Fun and innovative, it will shimmer, sparkle and shine in Gold, Silver, Rose Gold and Red. Easy to cut and sew, it does not fray so hemming is not required - perfect for crafts, costumes, accessories and playful home décor. 30" wide, Oly*Fun metallics is available in 10 yard bolts. You can find it at your local craft/fabric stores, order online, or enter here to win one bolt in the metallic color of your choice! You can also enter to win a $100 shopping spree by hopping over to FairfieldWorld and registering. No purchase is necessary. Which are your most popular blog projects? Here's a round up from Designer Crafts Connection members - we'd love to see yours too! Please add permalinks only - limit 2 per designer. KEEP CALM AND CARRY ON CRAFTING! 1. Bind It All by Zutter. 2. Tag Maker by Making Memories. The Tag Maker created tags with a metal rim, like the ones you can purchase in the office supply store. This was one of my favorite companies. 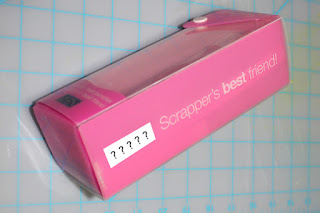 They had a large product line for scrapbooking, but unfortunately they are no longer in our industry. 3. Handmade Charlotte by Plaid. 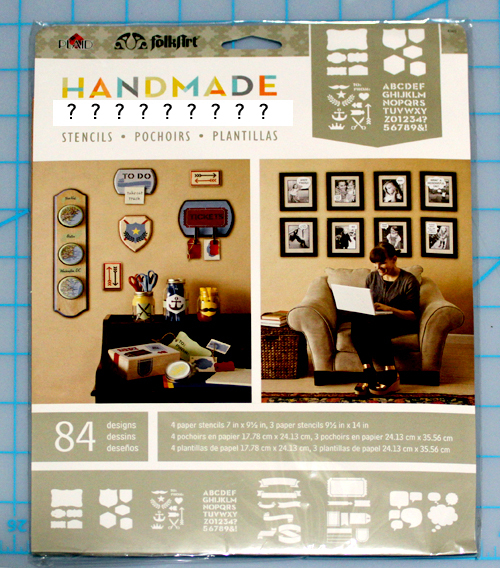 Stencils primarily for Home Dec DIYers. 4. Scraparatus by Karen Foster Designs. This tool comes with 2 tiny dies with a ring to attach to a charm bracelet and tips to punch a hole anywhere and an eyelet setter. It works like a "spring hammer". I'll add some eyelets to the box too. Use it on a hard surface with dies, or on a self healing mat for setting eyelets. 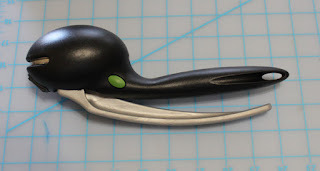 It's a pretty cool tool; love it for eyelets. 5. Snap Stamps by Karen Foster Designs. Still a great concept, but KFD is no longer in business. Happy to see other companies are now selling these stamps. My grand children love them! email me your address Cindy and I'll get this box of goodies out to you next week! Don't forget to check to check back here tomorrow. It's the first Monday of the month and we are having a linky party for "Most Popular Blog Projects" and a blog hop for Oly*Fun Metallics on March 17th. 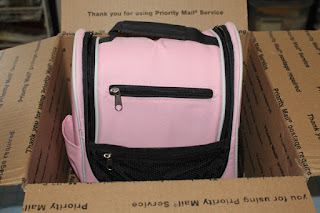 I may even have another giveaway at the end of the month, just to keep you guessing! Today is also Mother's Day in England, so if you have relatives in the UK, don't forget to give them a shout out......... Have a delightful day and y'all come back now! 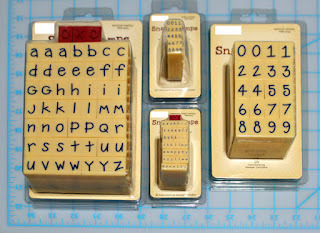 These are Snap-Stamps, but do you know the name of the company who sold them? Snap together alphabet stamps are being sold by a few companies this year, but they're definitely not new. This company was selling them 10 years ago - in fact I presented these stamps for them on HSN in 2006 and these sold out every time! Each letter is an individual stamp and they snap together to form words, dates, etc. There is a large and small set of both numbers and letters, and yes, in case you're wondering, I still have a set that my grandchildren love to stamp with! There are now 5 items to identify to go in the box. All will be revealed at 2 pm, CST on Sunday, and if there's still room in the box I'll be adding even more, so don't forget to comment. If you have a US or Canadian shippping address, you may be the one to win the whole kit'n kaboodle..... So, enjoy your weekend, and don't forget to comment again on Sunday. The more times you comment, the better your chances are to win! Good luck! Type your answer in the comments section to add it to the Mystery Box together with the name of the tool in the pink bag and items #2 and 3 (see posts below).... then check back each day thru Sunday to add even more items to the Mystery Box - you may be the one to win it all! Do you know the name of this brand of stencils? Type your answer in the comments section to add it to the Mystery Box together with the name of the tool in the pink bag and item #2 (see posts below).... then check back each day thru Sunday to add even more items to the Mystery Box - you may be the one to win it all! Comment below if you can name it. It will be added to the mystery box together with item #1! and rock out some projects! A winner will be picked on First Monday, March 7th in celebration of our National Craft Month linky party and all the comments will be posted at that time. Open to residents of US and Canada only. Good luck!